Samuel J. Tilden emerged from the election of 1876 as the clear front-runner for the 1880 Democratic presidential nomination. Three events changed his fortunes. First, the congressional investigation into 1876 voting irregularities uncovered a proposed bribe from the Tilden campaign of $1,000,000 for the certification of one additional Presidential Elector from the South. Second, Tilden's anti-boss activities in New York State caused Tammany Hall to start looking elsewhere for a candidate. Third, Tilden himself never officially made a statement entering the race. While Tilden considered his options, many other Democrats entered the race. Leading contenders appeared to be Winfield S. Hancock, Sen. Thomas F. Bayard, Sen. Allen G. Thurman, and Speaker of the U.S. House Samuel J. Randall. The 13th Democratic National Convention assembled in the Music Hall, Cincinnati OH. Each state was allotted two delegates per electoral vote, resulting in the same number of delegates as in 1876 (738). When Hoadly took the chair, he gave a brief speech mostly relating to the "theft" of the prior election, setting the theme of most convention speeches. When the time arrived to appoint committees, the convention made the following appointments: organization, credentials, and resolutions. During the discussion on whether to appoint a rules committee, someone moved to provide press tickets to Democratic journalists. This motion was objected to on the basis that hundreds of the best seats in the hall were already occupied by journalists. A concern regarding the representation of territories was referred to the committee on resolutions. The credentials committee agreed with the national committee on challenges to one district in Pennsylvania and the entire New York delegation. The committee recommended seating both competing Massachusetts delegations, with the votes divided between them. A minority report in favor of seating some Tammany delegates from New York elicited much response, including a close roll call of 361-297 which did not clearly state which delegates would be seated. Tammany insisted on having 20 of its members seated, but the convention voted 457-205.5 not to seat any Tammany delegates. At this point, the convention still awaited a report from the resolutions committee, so it proceeded with the nomination speeches for candidates. The first named was Stephen J. Field by California. Other nominations included Bayard, Thurman, and Hancock. The platform still not being ready, the convention voted against an adjournment 317.5 to 395.5 and proceeded to the first presidential roll call. On the first roll call vote, 19 men received votes. In first place was Hancock with only 23% of the delegate vote, followed by Bayard with 21%. 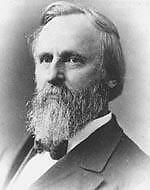 In third place was Henry G. Payne of Ohio, whose vote came entirely from Tilden delegates. Nearly half of the delegates voted for 16 other contenders. After the first ballot, the convention adjourned until the following morning. When the convention was called to order the next morning, New York produced a long letter from Tilden. 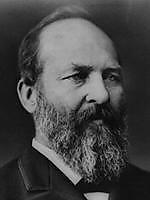 He announced his support for Randall and laid out in tedious detail his career since the 1876 election. The second presidential ballot followed. Hancock jumped to 43% of the vote, nearly double his vote on the first ballot. He led in all regions but had a majority in no region. Randall placed second with 17%, but his vote was limited to just 10 states. NY and PA contributed 95 of his 128.5 votes. Bayard had placed second on the first ballot but lost 27% of his delegate strength, ending up with 112 votes or 15%. Seven other candidates divided one quarter of the vote. Wisconsin was the first state to shift its vote. After New York shifted its 70 votes from Randall to Hancock, the chair called for a roll call to reflect the shifts alone. Hancock ended up with 705 votes to 30 for Hendricks and three scattering. The losing contenders took the podium to announce their support for Hancock, and John Kelly of Tammany Hall joined in the celebration. With the platform nearly ready for the convention to consider, Susan Anthony was allowed to address the convention, calling for the convention to endorse women's suffrage. The platform was quite conservative in nature. It called for the use of paper money only if backed by specie (an anti-Greenback plank), a tariff for revenue only (thus satisfying neither labor nor manufacturers), a ban on Chinese immigration, and "home rule" for the South. The major plank, which "dwarfs every other," was reversing the alleged fraud of 1876. For some unknown reason, the convention nominated William H. English for vice president. English had retired from public life 20 years earlier, so his nomination may have been an attempt to console the western and plains states which obviously had little say in the drafting of the platform.